Lisa Ballard celebrated her 44th birthday with a little help from Lady Luck. 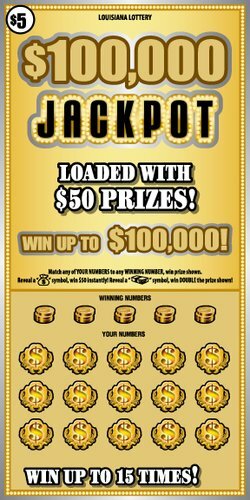 The Pearl River resident scratched a $5 $100,000 Jackpot scratch-off Saturday, and discovered she won the game’s top prize, which she promptly redeemed Monday morning at Lottery headquarters in Baton Rouge. She received $71,000 after state and federal tax withholdings. 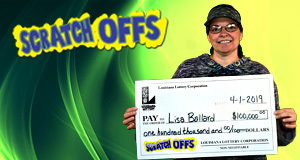 Ballard said she doesn’t play scratch-off all that regularly, typically opting instead to play Powerball and Lotto on Wednesday and Saturdays. She purchased her winning ticket at Lock One Pantry in Pearl River.